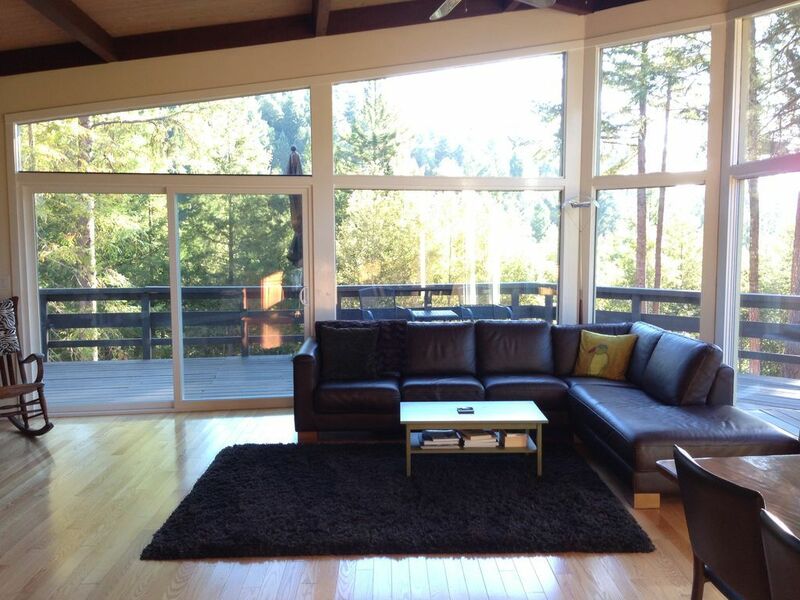 2+ BR, 2 BA, 50 Acres, Views, Huge Deck, 10 Mins to Healdsburg & Wineries. 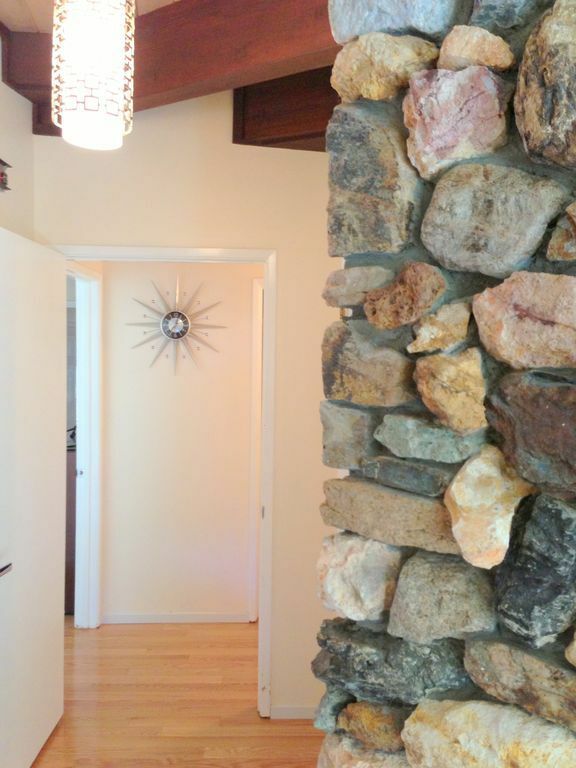 Mill Creek is a mid-century modern home with 2 bedrooms and 2 bathrooms. 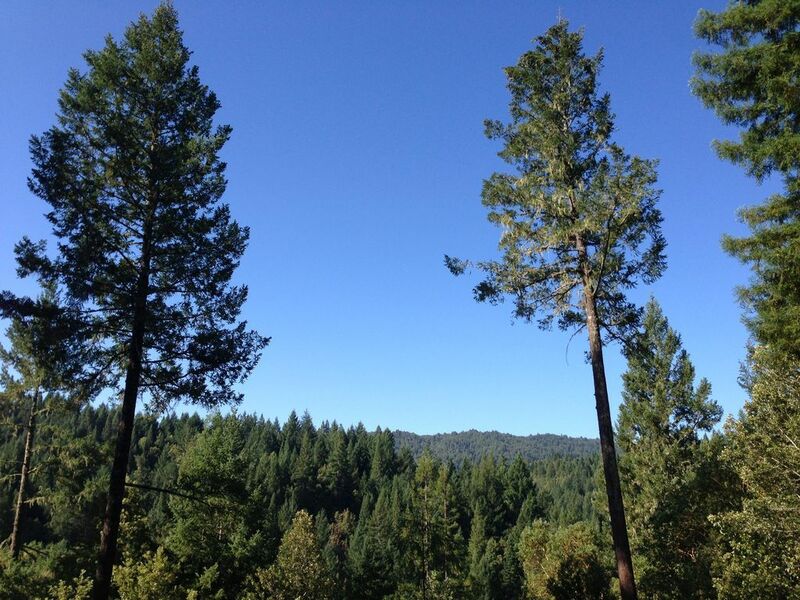 Just 10 minutes from Healdsburg square, it is completely private on 50 acres filled with Redwoods and Madrones. It's like being in your own secluded park. 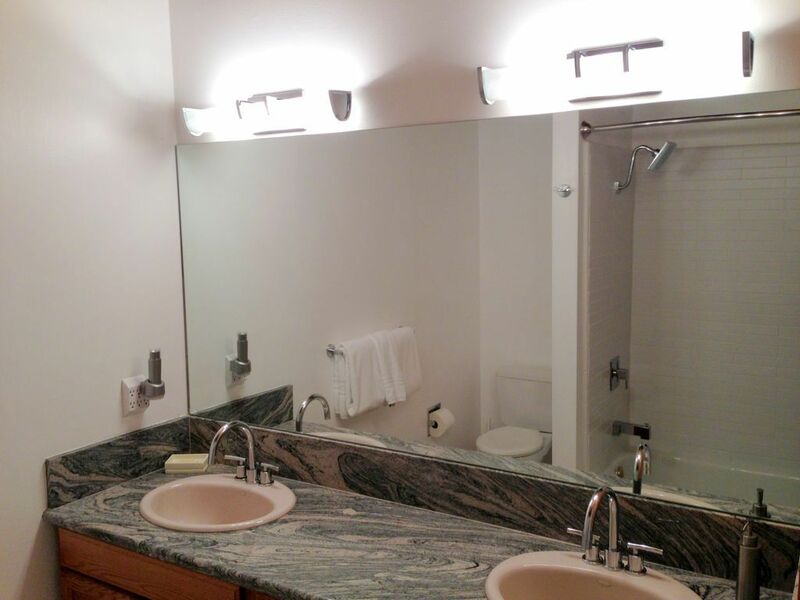 The house has a complete, remodeled kitchen stocked with everything you need to cook a great meal. 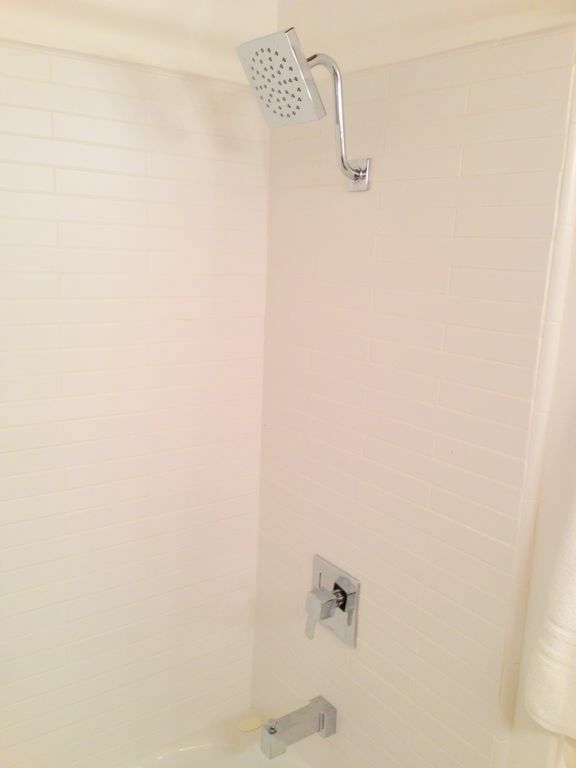 There are 2 remodeled bathrooms and a huge, furnished deck. 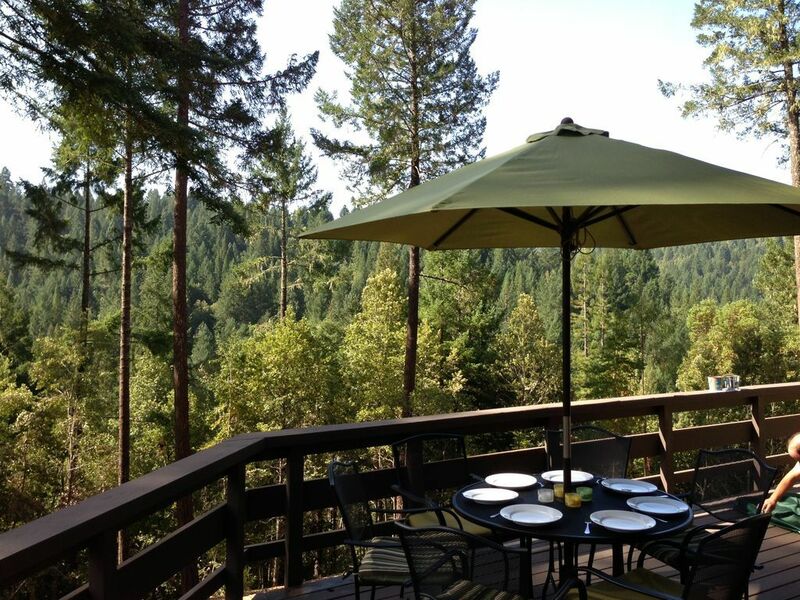 Sit out, eat out, grill out, enjoy the privacy and views of the redwoods, madrones and mountain ridge. 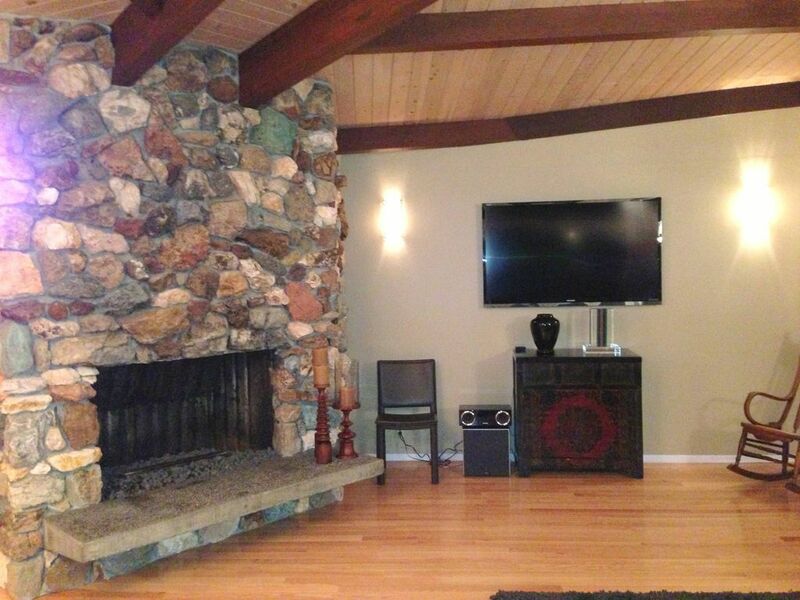 The huge stone fireplace uses BioFuel sparing the environment and producing great heat. 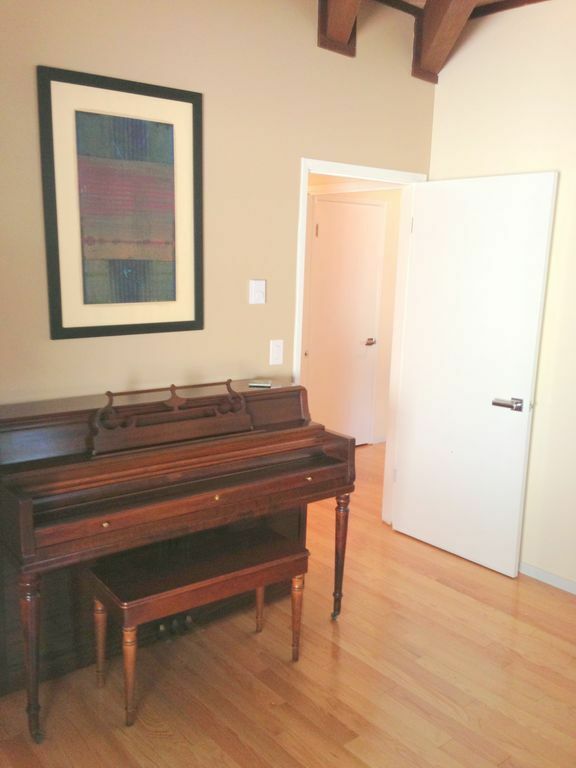 Bring your music and stream to the built in sound system, or watch Roku streaming on the 65' TV. 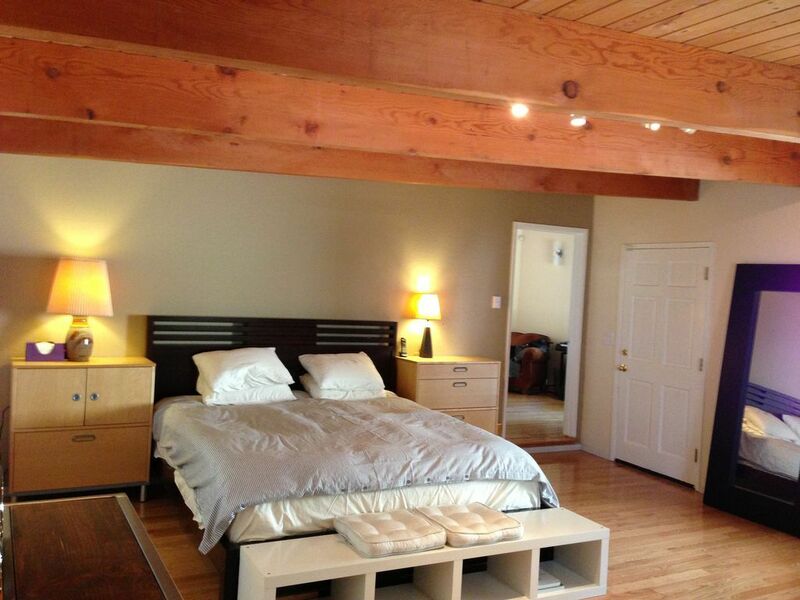 The beds are great as are the sheets and comforters. 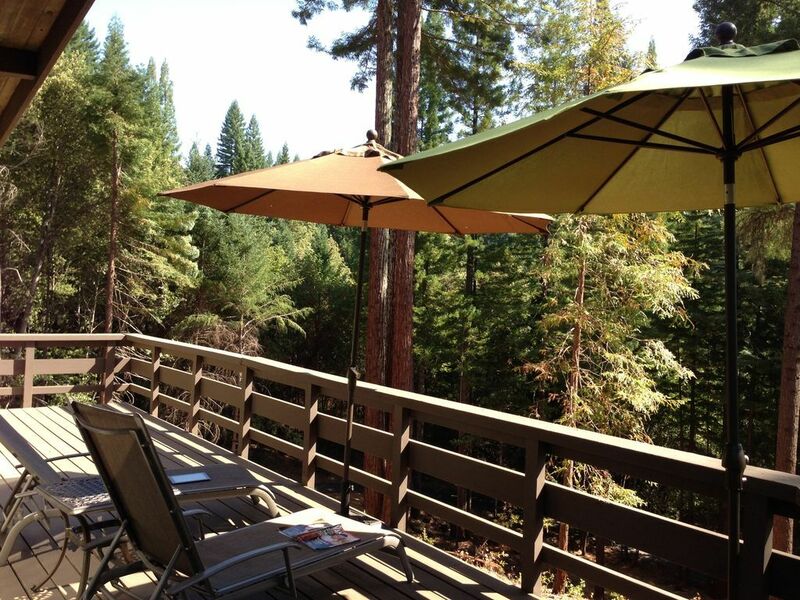 Hike our private trails, relax on the enormous deck, or take in the many wineries that are less than 10 minutes from the front gate. 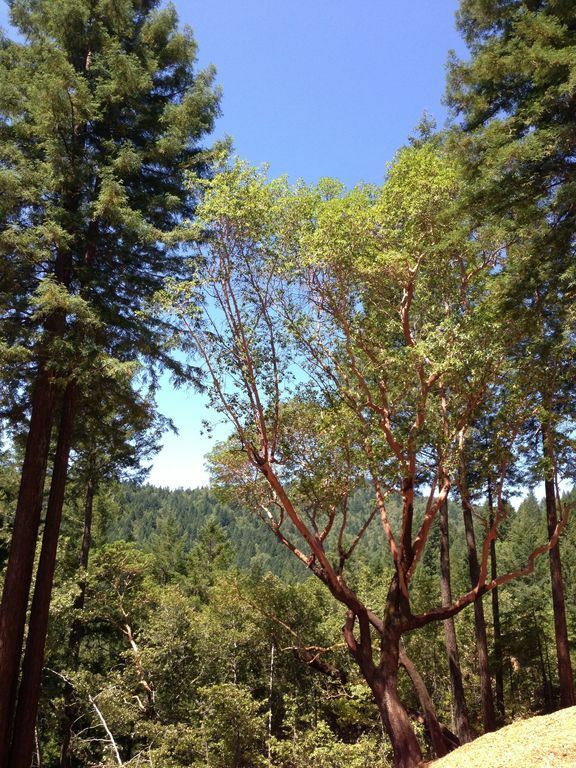 If you like biking, explore our street, Westside Road and West Dry Creek Road. Feel like getting wet? Rent a canoe and go out on Russian River. 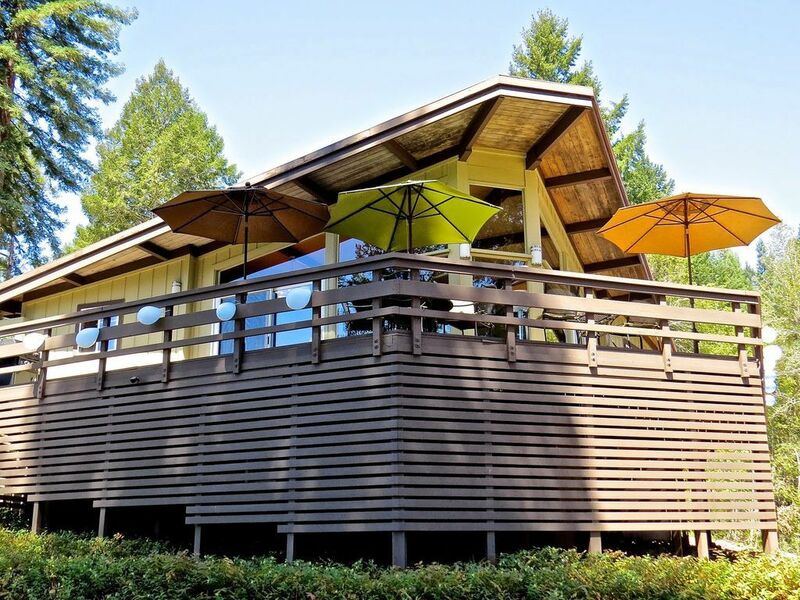 Wind down on the deck in complete privacy. Healdsburg is just 10 minutes from the house and offers world class dining, shops and wine tasting. Our manual includes a list of our favorites. Great food stores and more are just 9 minutes from the house. DRIVEWAY NOTE: Our home is on a hillside. The driveway is paved but contains curves and one switchback. Most drivers handle the driveway easily, but it is windy and steep. Please use caution, especially when wet. SMOKING NOTE: Our home and property are completely non-smoking. Smoking is not permitted in the house or anywhere on the property. 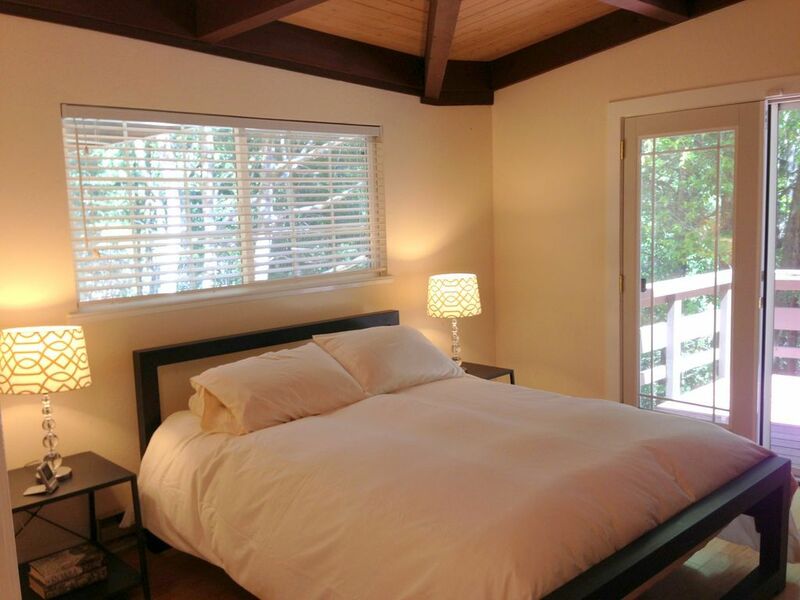 It's hard to find complete comfort and privacy so close to Healdsburg and Wineries. Enjoy! 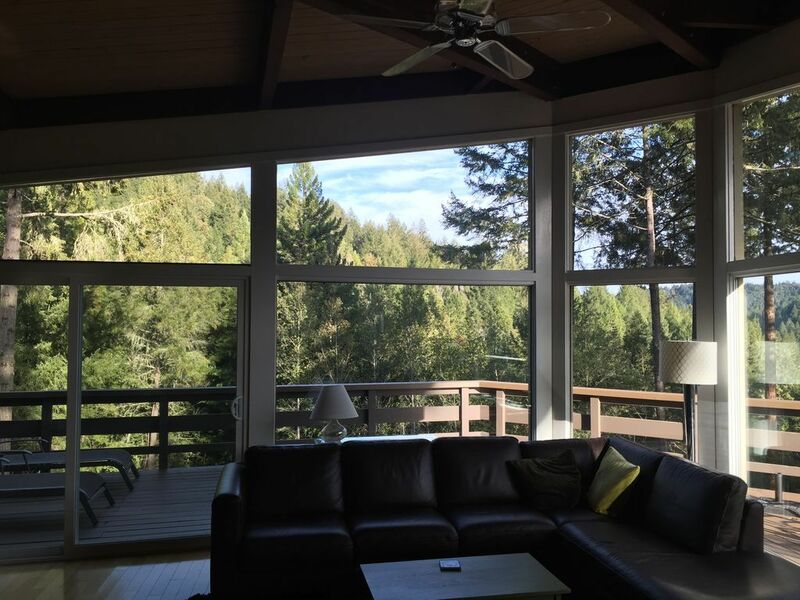 This is our second time back to the area and property and it lived up to expectation again. Can't wait to come back soon! 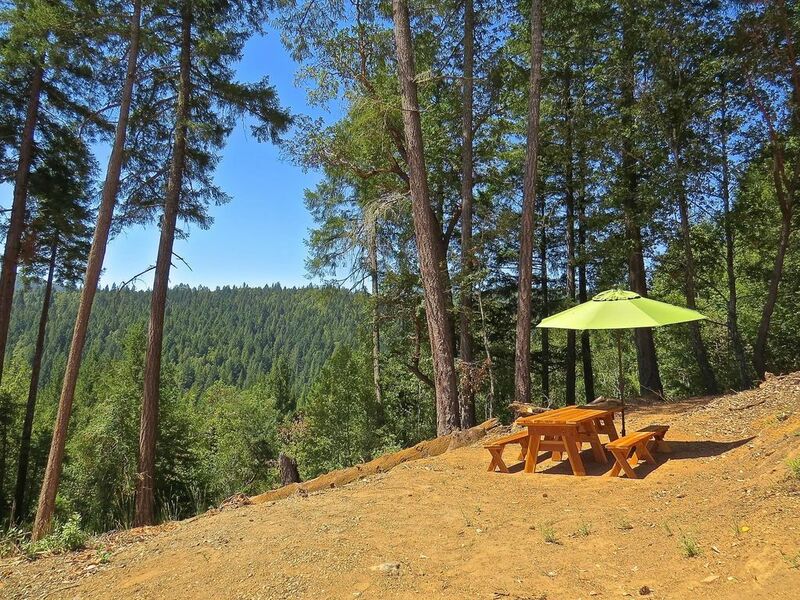 This property is a few miles down Mill Creek Road in the redwoods, but situated on top of a hill so you get the best of all worlds: sunlight and forest (and of course wine country). 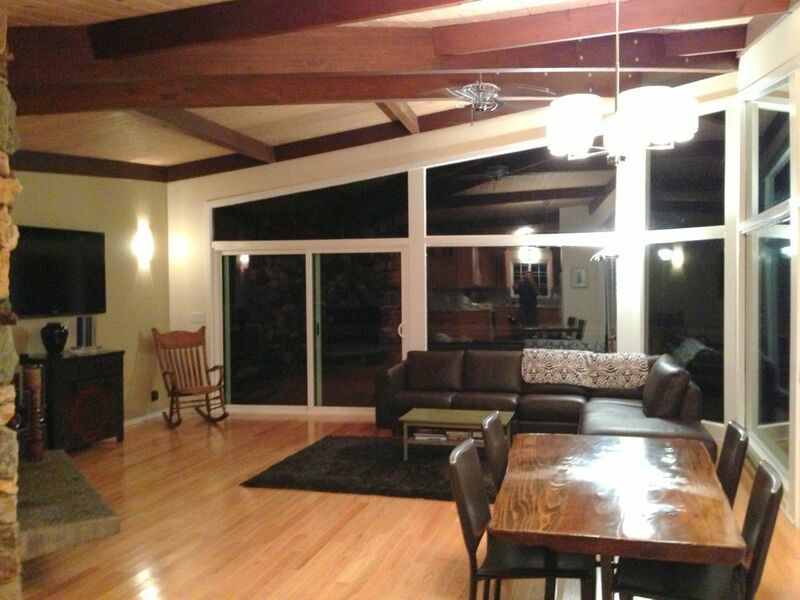 The home itself is nicely appointed and filled with natural light. We stayed for two months and didn't want to leave!